If you've ever been to the British seaside you'll be familiar with the sentiments of Brighter Later by Brian David Stevens. It's a title that encapsulates the eternal hope that, well, it will be brighter later. The problem with British seas is that they are almost always like British showers - too hot, too cold - except with the settings turned right down to cold and unbelievably freezing. So a day at the beach becomes a weird juggling act that involves air and sea temperatures, and looking up at the sky to see if the sun is going to peek out from behind the clouds so that if you do go into the utterly uninviting sea, there's the consolation that when you get out you will warm up... a little bit. 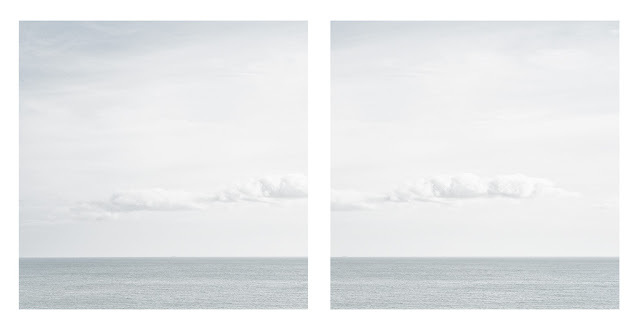 Brighter Later is a series of seascapes taken from across the UK. 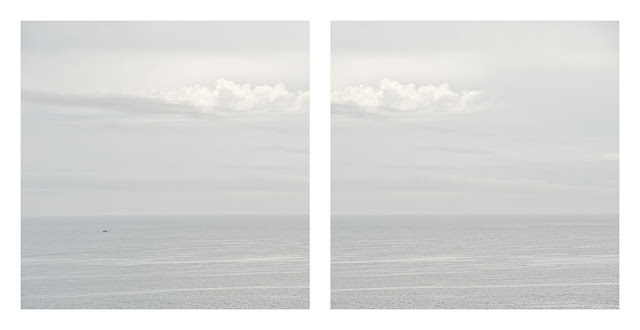 In the book they are printed in diptychs, making for a panoramic book format. And they are very nice. I'm not sure that's true, but it's a nice idea and the idea of emptiness appeals. Not that it is emptiness. Rather it is, as Stevens says, 'a space of optimism and possibilities', a place you 'look out' to rather than 'look in' to. So it's a book about what lies beyond the UK, it's about the barrier of the sea, and the effect that has on the way the British see the world and see ourselves - on this small, blighted island. 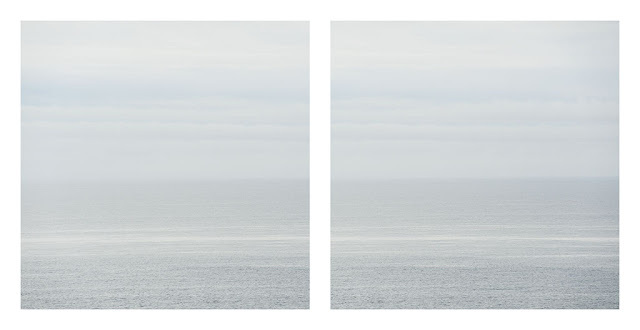 That's why it's more Mark Power than Sugimoto in its exploration of seascapes; it's very British. There are buoys, groynes, spits and boats in the distance. Shimmers of light bounce off the sea where the sun does shine, Steep Holm and Flat Holm rise in the Bristol Channel, as elsewhere storms, shoals and reefs threaten. And that's about it. It's a small book filled with small pictures, short stories on place that map the memories of a million Britons; excitement, adventure, hope and disappointment all wrapped up in a series of meditations on the sea.